Kanye West is already working on the third shoe in his "Yeezy" series - what expectations do you have? 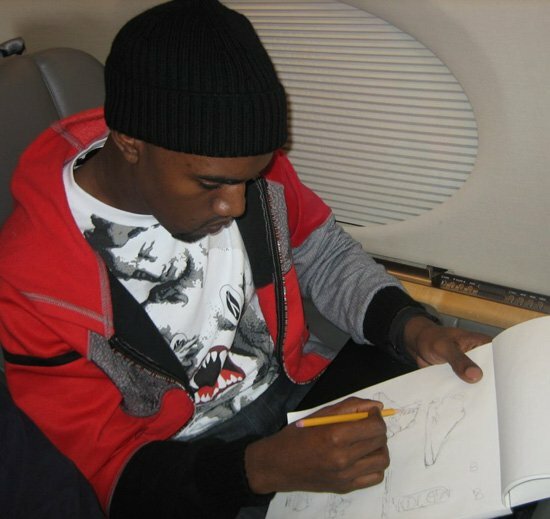 While we're approximately three months away from the highly-anticipated release of the Nike Air Yeezy 2, Kanye West took to his Twitter account earlier tonight to deliver an interesting little piece of news - he's already sketching the Air Yeezy 3. He also made it clear that he's not currently interested in any herb chicken or cheese tortellini, in case you were wondering. What direction do you think 'Ye takes the third time around? The sequel has the sneaker community buzzing, but the shoe isn't very different from the original Yeezy in terms of the general look. More vintage Nike/Jordan inspiration? Perhaps switching up the colors? Let us know how you'd like to see the Yeezy 3 turn out in the comment section.